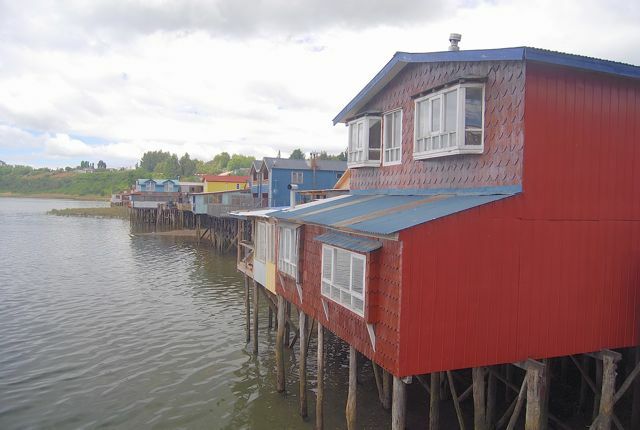 For the scenic archipelago of Chiloé, communications with the Chilean mainland have long been an issue. Only a few years ago, the government shelved plans for a grandiose toll bridge across the Canal de Chacao, which connects the main island with the mainland via continuous ferry shuttles from the port of Pargua. 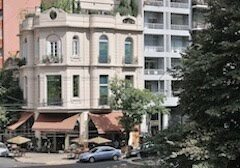 According to the online Santiago Times, though, the first commercial flights are due to begin in 2012 to Mocopulli, about 20 km north of the city of Castro via Ruta 5, the insular segment of the Panamericana, the Pan-American Highway. 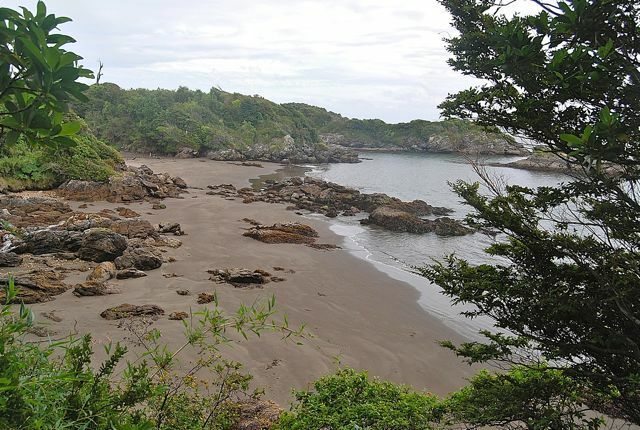 Castro is a central point on the Isla Grande, the big island, but it’s presently three hours away from the nearest commercial airport at Puerto Montt by bus, which includes a half-hour ferry crossing. Still, just finding a suitable site for a jet runway had to be a challenge on its rolling if not quite mountainous topography. When the flights begin, attractions like Castro’s own palafitos (houses on stilts, pictured at top), Parque Nacional Chiloé, the picturesque bayside towns of Chonchi and Dalcahue, and the wilds of Parque Tantauco (pictured immediately above) will be easier to fit into brief itineraries. Chiloé is also a UNESCO World Heritage Site for its shingled churches and chapels built by Jesuit missionaries in late colonial times; those are scattered around the archipelago, which includes dozens of other inhabited islands. 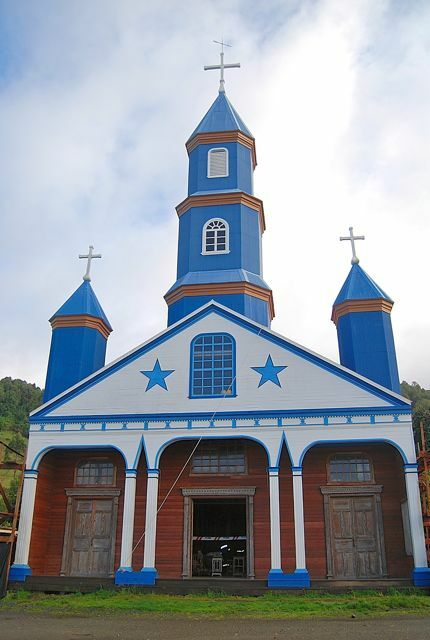 The one pictured below is a church at the village of Tenaún, presently undergoing a major restoration of which only the facade is complete; note the scaffolding on both sides. According to the earliest reports, LAN Airlines will fly thrice weekly from Santiago, at least in summer, and Sky Airline may follow suit. Still, with a population of only about 40,000 in and around the city, plus another 100,000 or so scattered around the rest of the archipelago, it seems likely that some flights may land in Puerto Montt before continuing to Castro. There has been speculation that, eventually, some flights might continue to the southern Patagonian city of Punta Arenas, where many Chilotes (as natives of the archipelago are known) work because of Chiloé’s traditional poverty and high unemployment. If so, this would also benefit the tourism industry, because Punta Arenas is the traditional gateway to Parque Nacional Torres del Paine, Chile’s single most famous attraction.